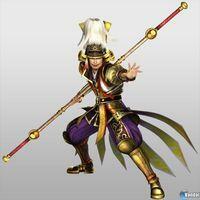 has distributed new images of Samurai Warriors 4 . They can see Toyotomi Hideyoshi and Nene wearing their new designs at the same time putting their skills and techniques cons multiple enemies you have to defeat our way to the battlefield. come to PlayStation 3 and PS Vita, and will feature over 50 playable characters . This installment will switch between two warriors on the same stage, similarly to Samurai Warriors: Chronicles. Also includes a new way to accept missions created by the general player and new movements and Secret Musou Action Godspeed. Then we leave you with the images in question.